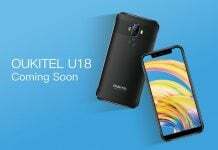 It seems the handset we have come to know as the OUKITEL K10000S is going to be rebranded as OUKITEL K10000 Pro. 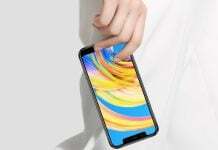 Based on the design images and the previously leaked photos, we think it’s okay to conclude that there have been several changes to the overall build of the device. First and foremost, the four corners and the four sides are not straighter than what we had in the previous design. 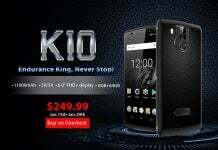 This is indeed a positive development considering that the refurbish only makes the K10000 Pro more concise and appear more expensive than it actually is. Another major change is the front design which looks totally different now. If you found the previous design more arrow-ish, the revamped design will probably seem more like a crown. And of course, with all the changes in the corner fields, the screen have undergone some noticeable changes too. The most obvious change you will notice on the screen is that the screen-to-body ratio is now higher than the previous design. As for the back panel, the design has changed rather drastically. The leather back layout now appears way more sleek and fashionable. 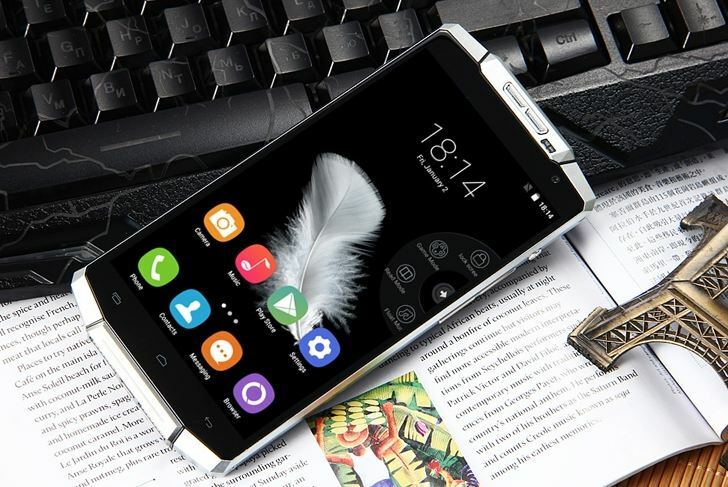 The fingerprint sensor below the camera blends beautifully into the overall design. 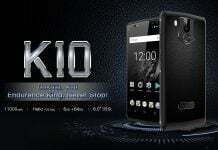 According to the company, the refurbished K10000 Pro will be lighter compared to the K10000. 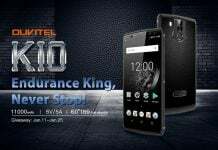 While the K10000 had a 5.5-inch display, it’s younger and more sophisticated sibling will come equipped with a 5.5-in FHD display protected by Corning Gorilla Glass. 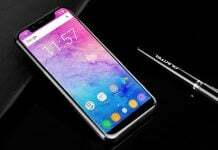 The battery remains the same, i.e the one with 10,000 mAh capacity, although the new 12V/2A charger lets you charge the device in just two-and-a-half hours.